Description: Design of new brand graphics and print components for international travel company. 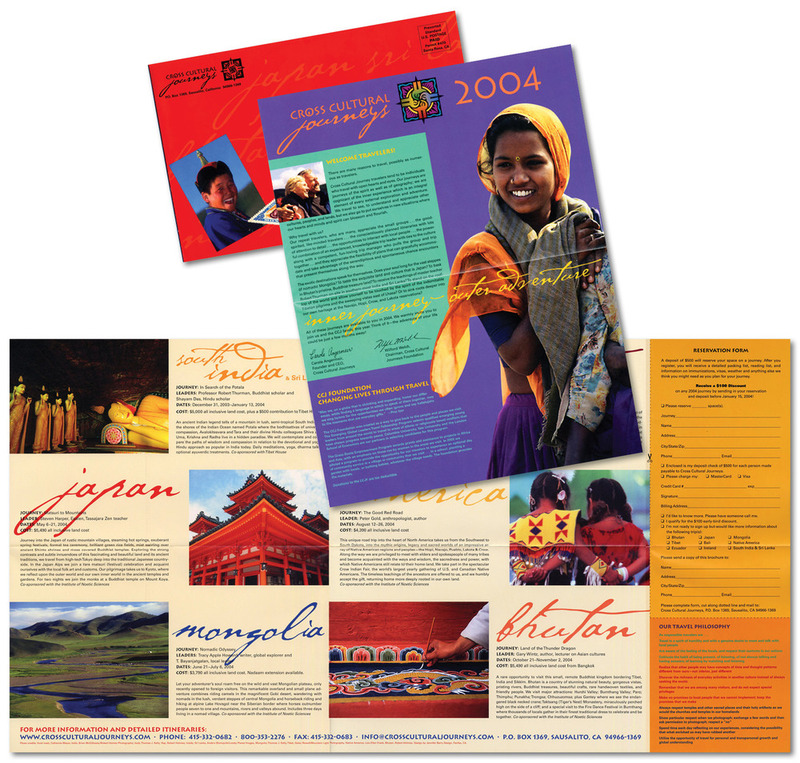 Components include company folder and mailing envelope, trip inserts with new design templates, and folded self-mailer promoting seasonal trips. Description: Design of folded self-mailer promoting seasonal trips employing new brand graphics created by the designer. Description: Folded mailer promoting photographic wine book to be published by client. Description: Design of folded mailer fitting in standard business envelope to promote author's cooking classes in France. Included separate reply card. Design of print components for company event honoring the founder of the non-profit organization offering medical aid to African countries. Designer sourced original African-themed artwork used for key imagery on all event promotion.